Pipo shock wen tori break say ogbonge Nigerian musician, Waje, tok say she wan drop music for a while as e be like say market no dey sell again. Na ontop video wey don go viral now na im Waje come out to tok say most of her money don enta music and she no dy see di returns, she wan focus on anoda tin for now. 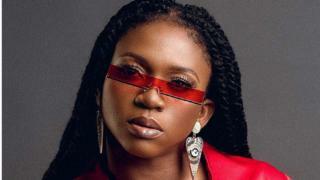 Waje don taya for music or she no get moni for publicity? Di truth be say many musicians don press pause before for different reasons before dem come back again. E get many reasons why e dey happun. Afta e land with im mega hit, Port Harcourt Boy for 2010, pipo begin dey reason say di guy na di new sound for Nigeria as e no get any party or place you enta wia you no go hia dis song. E trend sotay e become di unofficial anthem for di Rivers State Capital and many pipo expect say Duncan Mighty go blow afta den. Tori be say im take small time off music to build business for di same Port Harcourt and wen im try come back for 2016 with "The Certificate", many pipo no even hear about di album. Some pipo blame im fall onto say im no move to di Nigeria entertainment capital wey be Lagos. No be until 2018 wey Wizkid follow am sing Fake Love na im e be like say e combeack again, dis time, ontop international platform sef. Afta dat song, pipo begin call am di King of Comeback as e do hit collabo with Tiwa Savage, Davido and plenti oda artistes dem. Wande Coal na one Nigerian musician wey sabi lost well-well, but whenever e be like say e don lost finally, e go show again, drop banger hit. For 2009, im drop im first studio album wey im call Mushin to Mohits wey sabi pipo say na one of di best Nigerian studio album of all time. Afta den, no new songs come from Wande Coal again as e follow Don Jazzy for MoHits go Mavins and den comot to start im own label, Black Diamond. But for 2014, e comeback with Baby Hello from im record label come establish imself as beta pesin for di music industry. From dat time, e be like im middle name na hit maker cos from 2016 Iskaba, to im 2017 collabos with Patoranking for My Woman, My Everything and Falz for Way, evri song e don do, don hit back to back..
For Shatta Wale, na hunger force am to comot di music industry. E bin blow for 2004 , wit di name Bandana, but e tok say upon how pipo bin dey jolly im songs dat time, hunger bin wan kill am. Afta almost ten years without hit, e come land di music for 2013 with new name as Shatta Wale and e don dey blow dey go since den.